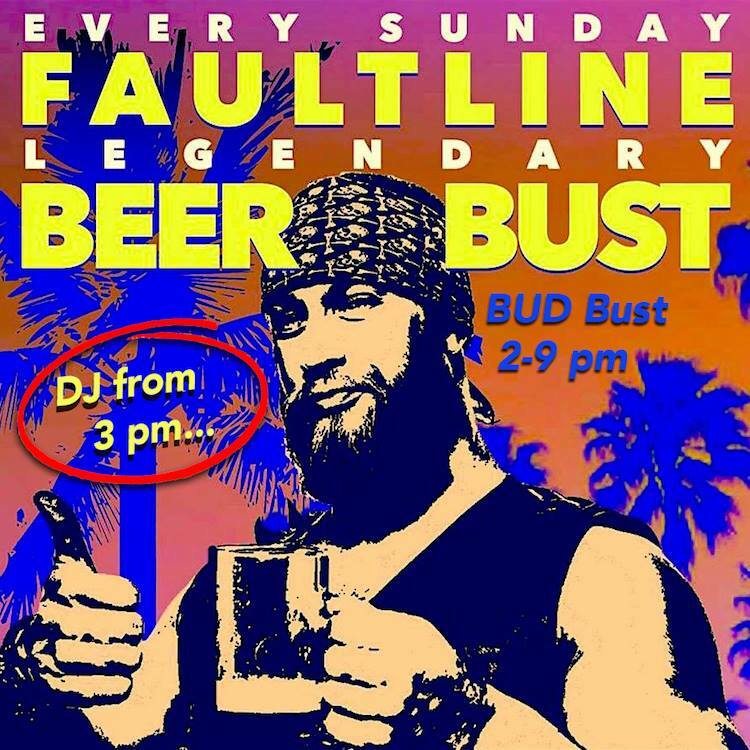 Faultline’s LEGENDARY SUNDAY BEER BUST! Enjoy ice cold $4 Bud Light draft beer and $3 refills! Sunday Beer Bust at the Faultline.